If you’re looking for a low maintenance, high-return franchise opportunity with minimal start-up costs, floor planning may be for you. It’s one of the most lucrative franchise opportunities available. Floor planning is a revolving line of credit to independent car dealers, allowing them to purchase inventory to be sold. Don’t worry. You don’t have to have experience in the industry to be successful as a POWERED BY COMMANDER franchisee. We offer our franchisees full support. Our professional team is here to guide you and train you so you can run a successful floor planning operation. Simply stated, our model gives you the best opportunity to run a successful floor planning operation. Our proprietary software and our professional staff handle all of the back office management functions for you, while you maintain complete control over your business. We’ll create the contracts for each of your new customers and maintain relationships with the auctions where your customers purchase their inventory. We’ll also handle the transfers of funds as well as UCC filings and management. Our title management service may be the most valuable part of your franchise. Title mistakes happen. And if they aren’t caught, they can be a big problem. Our in-house expert, Leah, is the best in the business when it comes to titling. She’s processed thousands of titles. She knows what to look for and how to correct mistakes before they become problems that threaten your investment. You can feel confident that your titles are accurate if they’ve gone through Leah’s hands. Our franchisees benefit from our exclusive software program that offers fully customized reports. Our software allows you to access relevant reports on your business including credit availability, number of current loans, average loan days and amounts, and much more. You will always have instant access to the detailed information you need to make the best decisions for your business and to keep track of your investment. POWERED BY COMMANDER is a way to create a franchise business that puts your capital to work for you without the cost and labor associated with a brick and mortar business. You invest or leverage your capital to extend revolving lines of credit to independent used car dealers. They use the capital to purchase inventory for their car lots. You choose the dealerships you would like to work with and audit their inventory to manage your risk and keep track of your investment. We provide you the training, tools and support you need to feel confident about your investment. No office or staff is needed. We handle all of the back office management functions. Our proprietary digital management system lets you know where your money is at all times. It’s a small amount of work with the potential for a big return on your investment. The ROI potential is much greater than you would expect from a typical franchise opportunity. Start-up costs are negligible, and with our help, there is little work on your part. 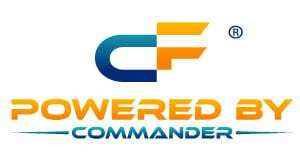 Contact us for more information about a POWERED BY COMMANDER franchise.